Home Comic Books Thor Are Asgardians Refugees under International Law? Are Asgardians Refugees under International Law? 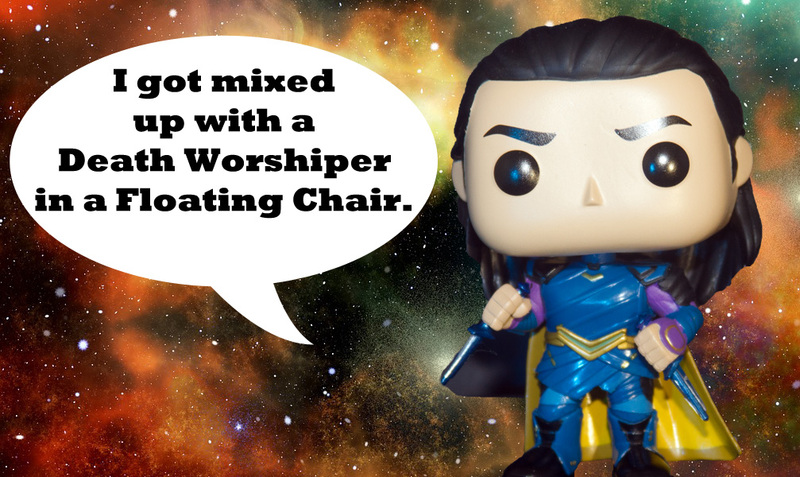 Major Spoilers for Thor Ragnarok. Asgardians come from the land of ice and snow, from the midnight sun, where the hot springs flow. The surviving Asgardians at the end of Thor Ragnarok were driving their ship to new lands on Earth. Would the Norns weave for them a fate where the Asgardians legally qualify as refugees? International treaties define refugees, in relevant part, as those who “owing to well-founded fear of being persecuted for reasons of race, religion, nationality, membership of a particular social group or political opinion, is outside the country of his nationality and is unable or, owing to such fear, is unwilling to avail himself of the protection of that country; or who, not having a nationality and being outside the country of his former habitual residence as a result of such events, is unable or, owing to such fear, is unwilling to return to it.” USCS Protocol Refugee. Surtur destroyed Asgard, the planetoid nation-state atop the cosmic Yggdrasil World Tree, in the final battle with Hela. As such, the Asgardians were like many of the displaced people after World War II without a homeland. Countries including the Norway and the United States (in part) ratified the Protocol Refugee Status, plus other international treaties on refugees. The first stage of analysis of whether Asgardians are refugees turns on whether they have a well-founded fear or persecution based on race. Both Surtur and Hela demonstrated clear threats to Asgard, with Hela slaughtering the entire Asgardian army, murdering the Warriors Three, and ordering the deaths of civilians. Surtur actually succeeded in destroying the Asgardian planetoid. As such, nations such as the United States or Norway could find Asgardians have both a well-founded fear of the Goddess of Death and are unable to return home. The President of the United States has the authority grant refugee status for humanitarian concerns in the event of an unforeseen emergency. 8 U.S.C.S. § 1157. If the Asgardian Exodus does not fall under the Protocol Refugee Status, the [fictional] President Ellis could grant emergency refugee status because of the Goddess of Death’s attempted genocide and destruction of Asgard by Surtur, would qualify as an “unforeseen emergency.” Plus, the United States would love reverse engineering the Grandmaster’s spaceship and possible Asgardian technology. The Protocol Refugee Status and US law will not grant refugee status to those who committed a crime of violence or war crimes. 8 U.S.C.S. § 1101. This is problematic for Loki, as he did lead an alien invasion in New York City in a conspiracy with Thanos to conquer the Earth. This is also a significant challenge for Valkyrie, as she spent possibly centuries capturing people and selling them into slavery to fight in the Grandmaster’s gladiator games. While Thor arguably could pardon both Loki and Valkyrie for their crimes against Asgard, nations on Earth would have a difficult time forgetting about Loki’s Chitauri invasion of New York. Asgardians would likely be granted refugee status, given their well-founded fear of persecution and an unforeseen emergency. There would be an issue of settlement, such as creating a new homeland for the Asgardians, compared to accepting them into different countries. Perhaps Norway would be willing to grant Thor land to build a new city-state of Asgard, but that would be problematic to allow the creation of a new nation on Earth. 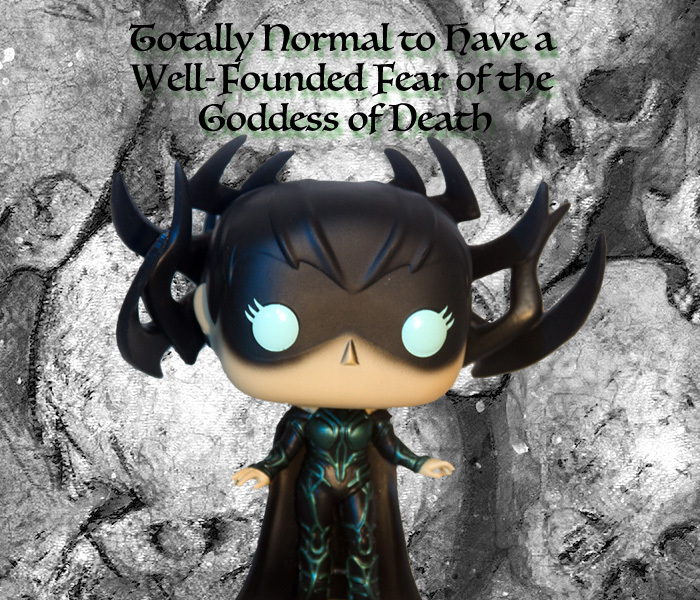 Did Hela Commit Desecration of Corpses in Asgard?